This UV sterilizer bulb is often used by research and medical facilities, waste water treatment facilities, and aquariums. Germicidal lamps are a perfect example of how light can do more than simply illuminate an area. Need more than one UV germicidal lamp? Stock up and save with our Free Shipping offer when you make an order of $50 or more! 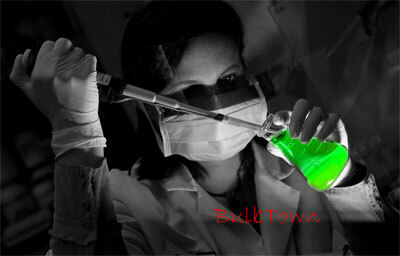 The UV germicidal lamp products available here at BulbTown are produced by EiKO. Their germicidal lamps are built to offer an alternative to chemical sterilization. EiKO lamps are created with UV emitting glass that is capable of producing a 253.7nm UVC wavelength, which is considered optimal for sterilization. Germicidal lamps should be handled and used with extreme caution. Because they emit Ultraviolet Radiation, a UV germicidal lamp should only be used in fixtures that provide adequate protection, and exposure should be avoided. Germicidal lamps should not be used for illumination purposes and should not be operated without protective equipment. When handling, always wear hand and eye protection to limit the risk of skin and eye injury.